SAN FRANCISCO, Feb. 13, 2019 /PRNewswire/ -- IBM Think -- Harley-Davidson Motor Company (NYSE: HOG) and IBM (NYSE: IBM) today unveiled how cloud, IoT and AI technologies will reimagine the everyday experience of riding. The new experiences will arrive courtesy of the iconic American motorcycle manufacturer's first electric motorcycle, LiveWire™, and will transform the motorcycle industry over the coming decade. Earlier this year, Harley-Davidson (H-D) announced its first all-electric motorcycle, called LiveWire™, part of its More Roads to Harley-Davidson accelerated plan for growth. The plan includes initiatives to deliver new products in additional motorcycle segments, broaden engagement with the brand, and strengthen the H-D dealer network. It also boldly proclaims that Harley-Davidson will lead the electrification of motorcycling. Today H-D joined IBM to unveil how LiveWire's H-D™ Connect service (available in select markets), built on the IBM Cloud, will deliver new mobility and concierge services today and how the company is expanding the use of IBM artificial intelligence (AI), analytics and IoT to enhance and evolve the rider's experience of the vehicle. In order to capture the next generation of motorcycle riders, H-D is working with IBM to transform the everyday experience of riding through the latest technologies and features. "LiveWire is a fully cellular-connected electric motorcycle, and we needed a partner that could deliver mobility solutions that would meet riders' changing expectations, as well as enhance security," said Marc McAllister, Harley-Davidson VP Product Planning and Portfolio. "With IBM we have struck the balance between using data to create both intelligent and personal experiences, while maintaining privacy and security." Powering The Ride: LiveWire rider's will be able to check bike vitals at any time and from any location. Information available includes features such as range, battery health, and charge level. 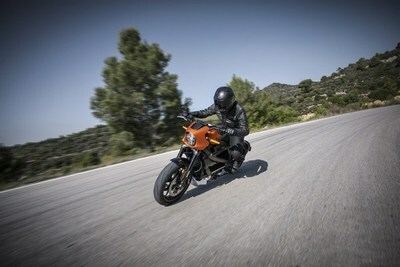 Motorcycle status features will also support the needs of the electric bike such as the location of charging stations. Also riders can see their motorcycle's current map location. Powering Security: An alert will be sent to the owner's phone if the motorcycle has been bumped, tampered or moved. GPS-enabled stolen-vehicle assistance provides peace of mind that the motorcycle's location can be tracked. (Requires law enforcement assistance. Available in select markets). 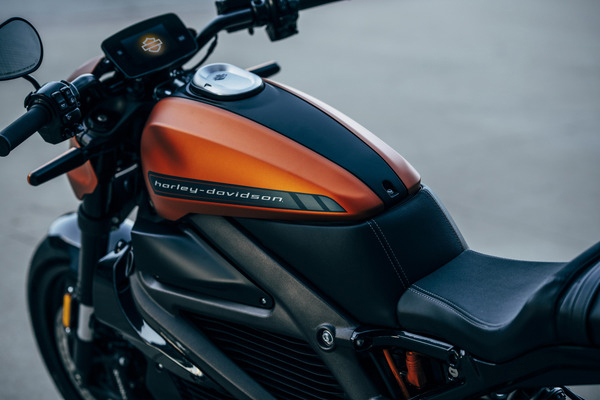 "The next generation of Harley-Davidson riders will demand a more engaged and personalized customer experience," said Venkatesh Iyer, Vice President, North America IoT and Connected Solutions, Global Business Services, IBM. "Introducing enhanced capabilities via the IBM Cloud will not only enable new services immediately, but will also provide a roadmap for the journey ahead."